That being said, I am aware that there are some things I do that might be considered a bit ‘extra’ when it comes to my dog. I just love doing everything I can to make this little creature the happiest she can be (yes, even when she is getting on my nerves… I still love her to bits)! The idea of leaving Pepper in a small cold room with bars around the sides and the sound of other dogs howling for most of the day makes me shudder. Yes, it’s much cheaper, but I just don’t think I could do it. Luckily, a couple of years ago we discovered Doggy Daycare Cornwall, who have massive open gardens for the dogs to run and play in all day, and a lounge/sofa area to chill out when they’re tired. Pepper’s pretty hardy no matter what the weather, but I couldn’t resist this adorable grey (just my colour!) 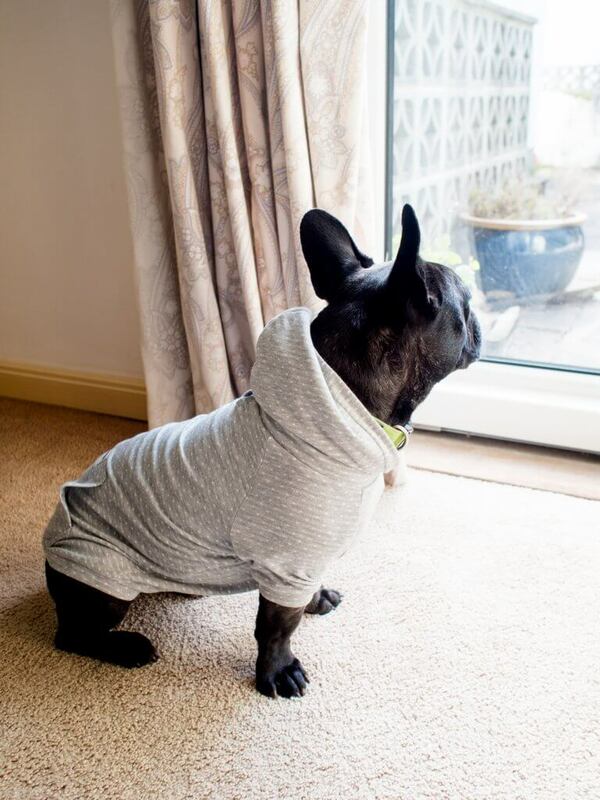 hoodie for her to stay warm in during the last few weeks of freezing temperatures. 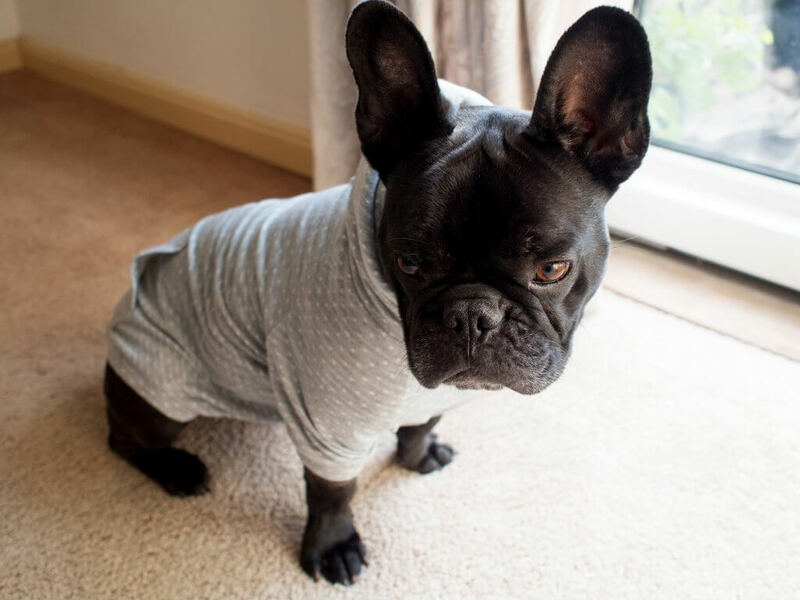 Aurora Pets sell designer accessories and clothes for dogs, such as this Max Bone brand jumper, but there are loads in the range to choose from! Up until recently, I’ve been feeding Pepper on Pooch & Mutt Health and Digestion dry dog biscuits. She absolutely loves them and has been on this food for a while as it’s really helped her rather ‘sensitive’ tummy! Getting insurance for your dog is an absolute must – vet bills are no joke whatsoever – but you have to be careful of what package you buy. 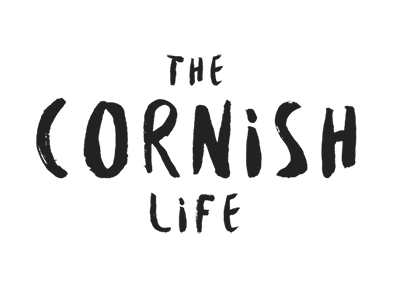 Many insurers have inexpensive levels but these only cover you for a certain amount per condition, or per year. What if it turned out your dog has an ongoing condition or a vet bill that comes in way over your max condition limit? To give you an idea, when Pepper broke her leg the bill came in at over £1,000 to fix it, and when she had a stroke in her spine (extremely rare and random btw!) it was around £5,000 for the MRI scan and everything included. This would have been impossible to afford if we hadn’t had good insurance! (FYI, we were with MoreThan at the time, who were great, and I am now with John Lewis due to slightly cheaper premiums). 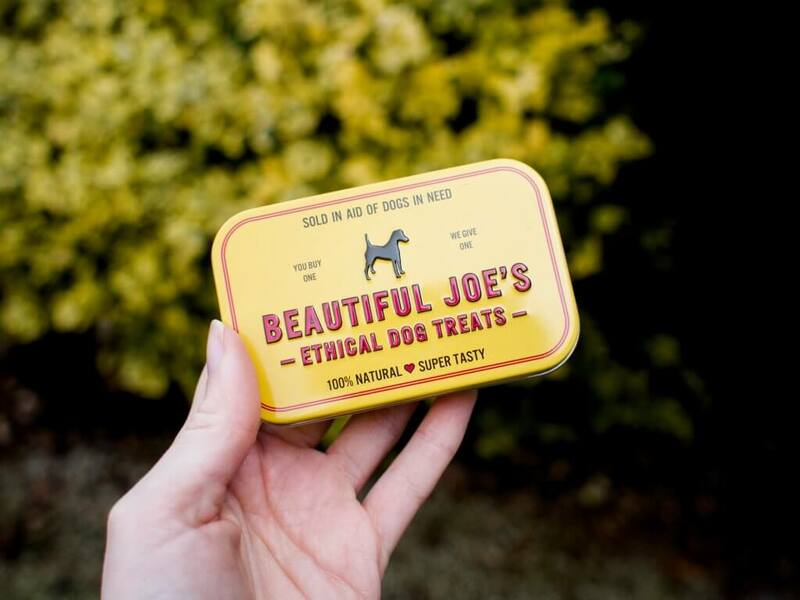 These Beautiful Joe’s treats are made of free range British Ox liver and nothing else! 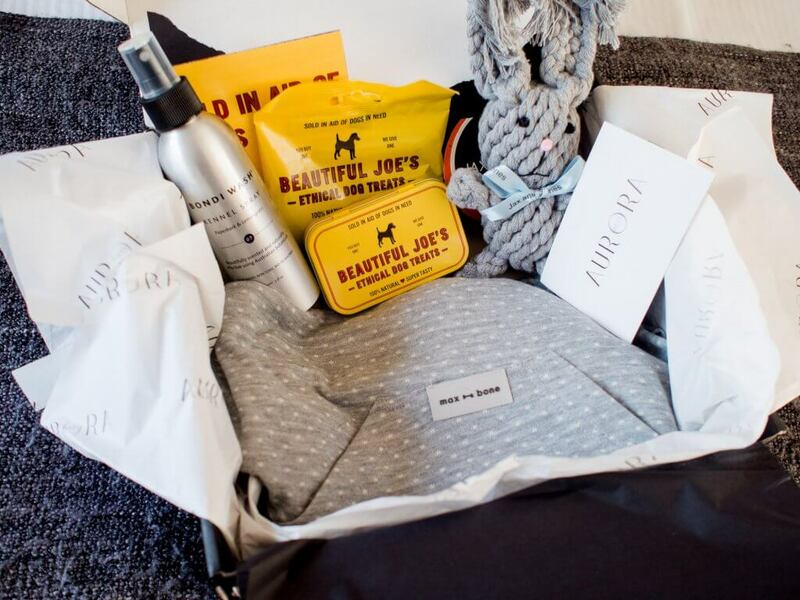 You can buy these on Aurora Pets, and the company donates half of all the treats they make to rescue dogs – how cute is that? So every pack you buy, one gets donated to a rescue home who may not otherwise be able to afford treats for their dogs. Naturally with her bulldog jaw and Frenchie boisterousness, Pepper wants to destroy every toy she gets her paws on. This means I have to go a little bit extra and get super durable toys for her, to withstand her ripping, chewing and generally destroying them! 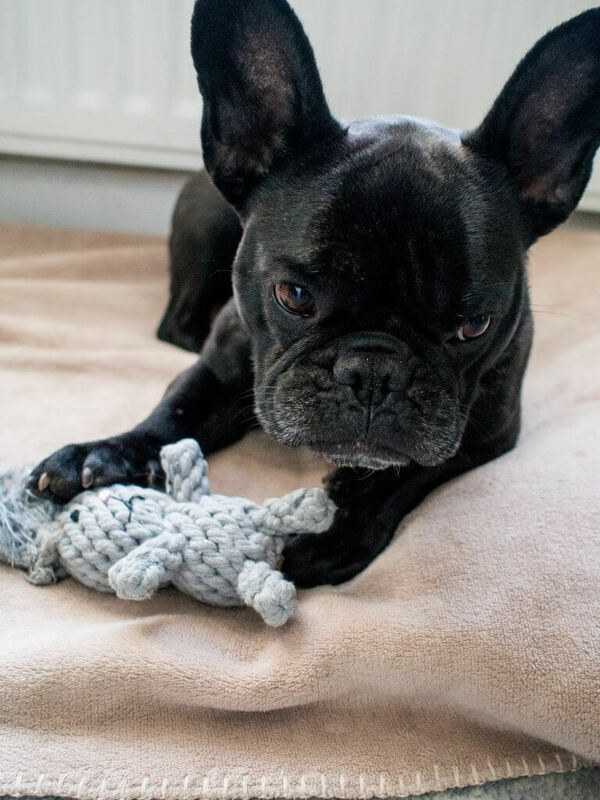 This little rope rabbit toy from Jax & Bones (on Aurora Pets) does just the job, plus it’s grey too so looks stylish as well. You may have seen a couple of weeks ago I had a Pet Pawtraits photoshoot with Pepper, resulting in some gorgeous images of her playing on the beach and looking generally cheeky! Things like this are definitely a bit of a luxury but so nice to have done professionally for memories through the years. With her short fur, Pepper doesn’t really need to be washed too often (it’s better for her skin if it’s less often, actually!). However, thanks to muddy dog walks and salty beach walks, she can get a bit wet-dog smelly. 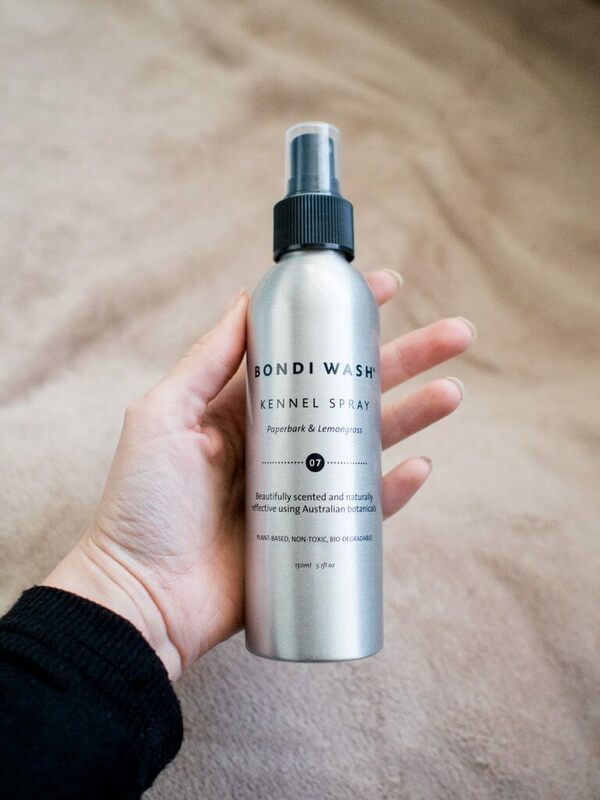 I’ve been loving this Bondi Wash Kennel Spray from Aurora Pets to spritz on her blankets and bed to keep her and the house smelling fresh! And of course Pepper gets treated to some of the best dog walks the country has to offer, thanks to us living so close to the beautiful coastline and a vast selection of large dog-friendly beaches for her to run and play on. She really is super lucky and she doesn’t even know it! 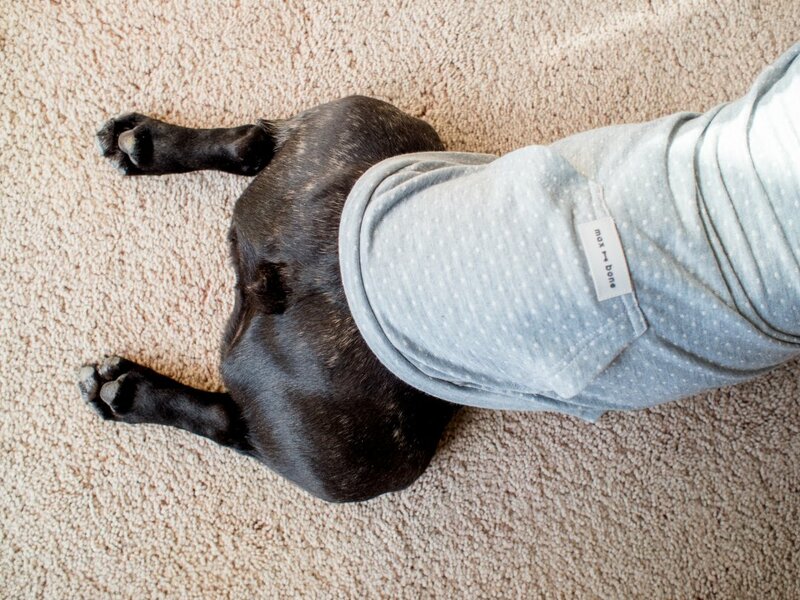 I also once created Pepper her very own Instagram account, and set up a small side business selling Frenchie merchandise that was all inspired by her as well, among other things. The list goes on! I don’t think I’ll ever stop spoiling her. How extra are you with your dog?